Three all-women climbing team of six can be seen on this picture. 72 stories, 309.6 meters high. 1,016 feet high. From the center of London to the world. Protest is the way to wake up democracy to the issues that matter. 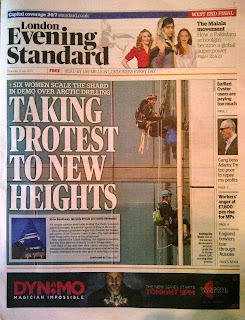 SHARD ICE-CLIMB SAVE THE ARCTIC DEDICATED WEBSITE. 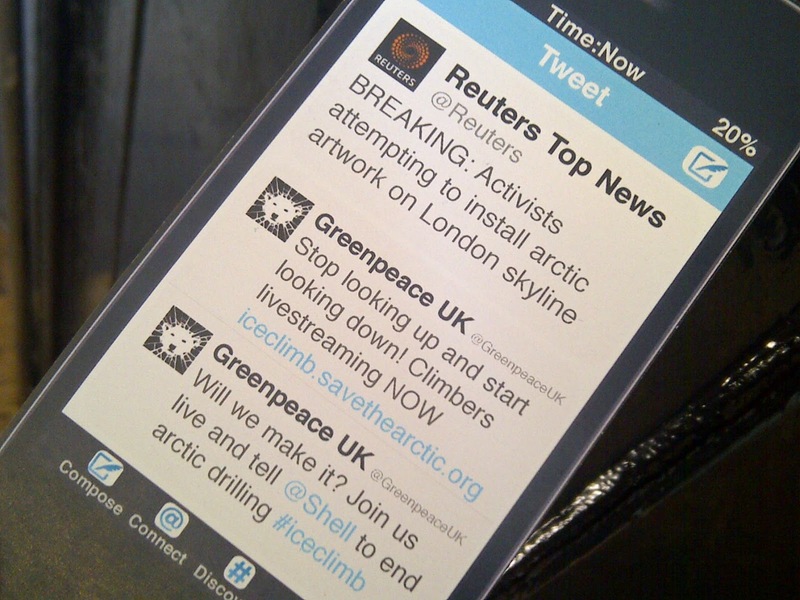 Support activists handed leaflets on London Bridge as commuters crossed it. New Picture: Shard building as seen from Brixton, South London, at about time the Greenpeace climbers were reaching the summit. 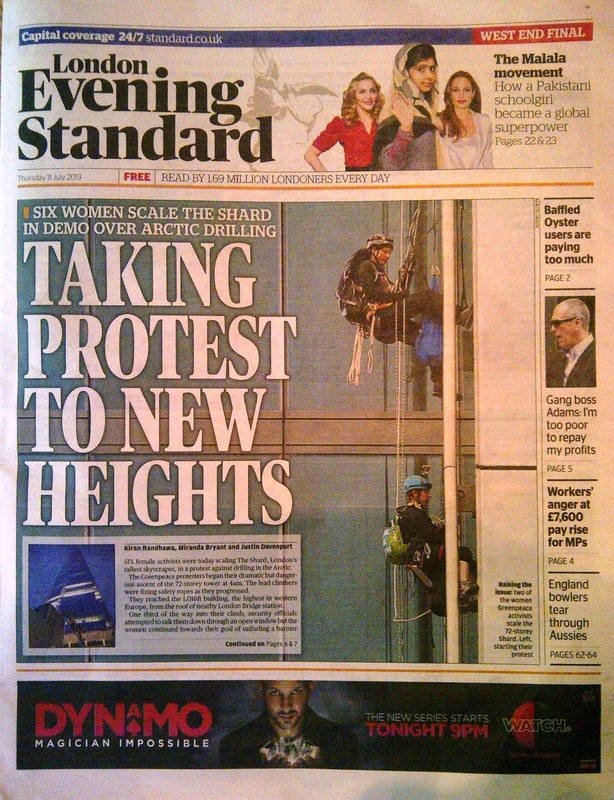 Mainstream media coverage of the activism on same day.